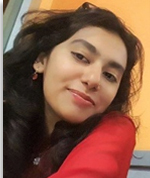 Momina Masood is a Lecturer at the Department of English Language and Literature. Her research interests span cult and exploitation cinema studies, Pakistani film practice, queer visual cultures, and gender and sexuality studies. At the Department of English Language and Literature, she has taught undergraduate modules on 20th-century British drama, 14th to 18th-century British poetry, Literary and Critical Theory, and 18th-century Novel. She has presented her research in various national and foreign conferences and has widely published her creative writing in various online and literary magazines.